The newest release from Bob Sanchez and Twobobs is a set for the VFA-147 Argonauts aboard the USS Ronald Reagan. The Argonauts are based at NAS Lemoore and transitioned into their current planes, the F-18E Hornet, in 2008. 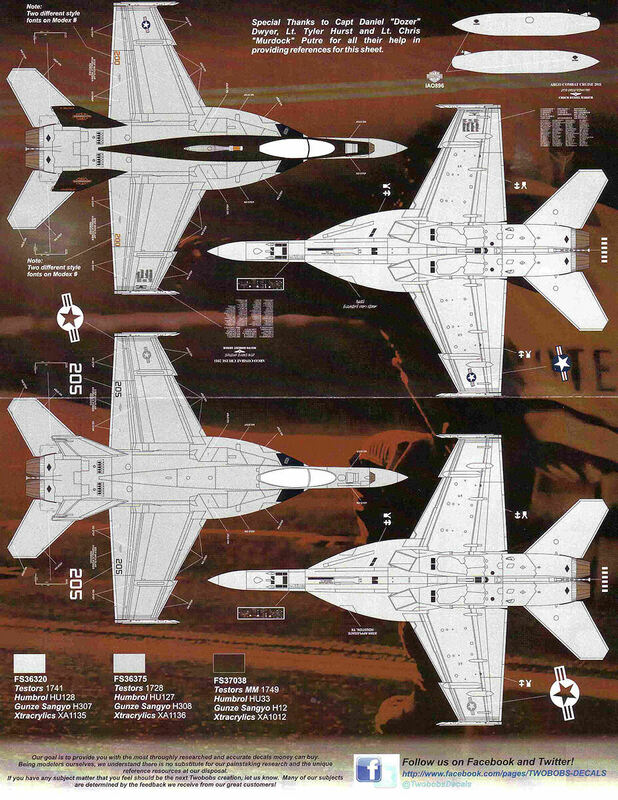 The set is designed for either the Hasegawa or Revell F-18E single-seat Hornet and represent the planes on their 2012 cruise. The set comes in the superb Twobobs format with a full color sheet showing the beautiful CAG configuration with black tail and spine, as well as one line plane in grey. Both side, top, and bottom views are provided. There is a list of kits and aftermarket to add for those wanting a little resin and photo etch with their decals. The back also includes all the necessary color callouts for the planes. There are also some shots of the actual planes. 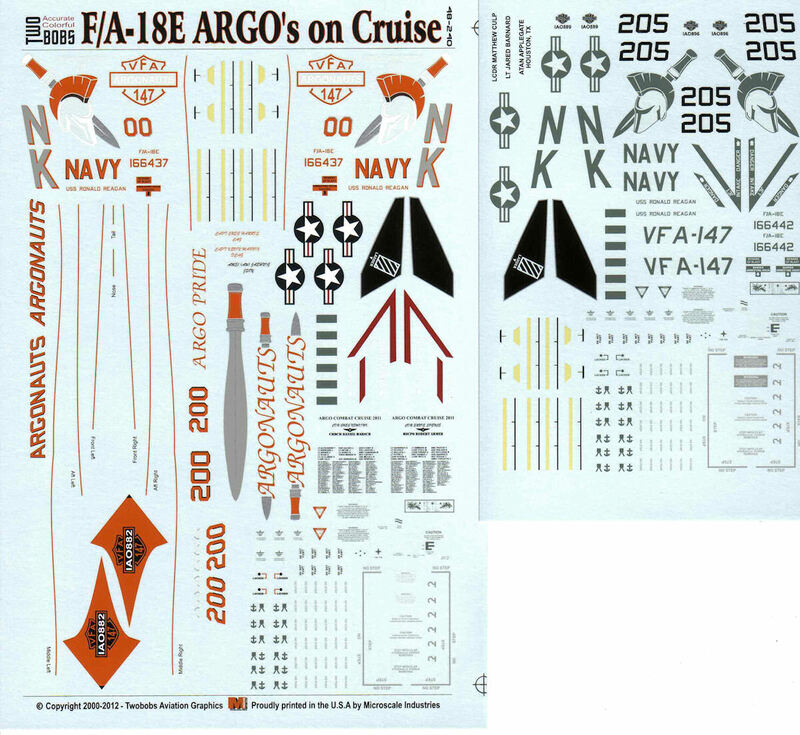 Last, but not least, there are two decals sheets covering both the colorful CAG markings and the gray markings. Printing is superb and there are all the needed special markings as well as warnings needed for one plane. Recommended! My thanks to Bob and Twobobs for their great work and another way to beautify those modern jets, and to IPMS/USA for the opportunity to review them.